The Wrestle Talk Podcast with Joe and Rene is proud to announce that on Wednesday, December 6th, we will have two special guests on the program. 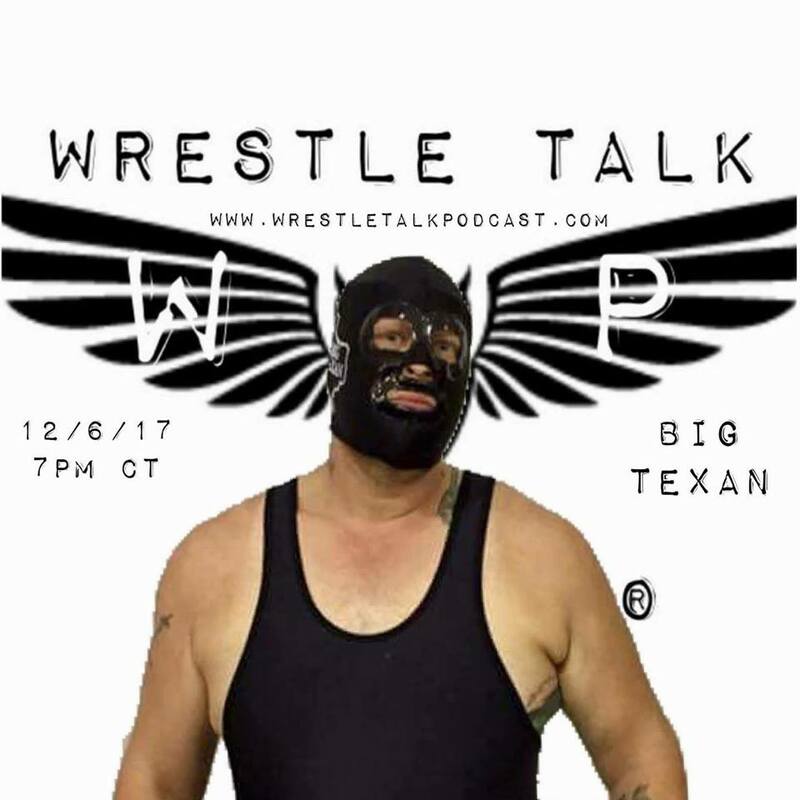 At 7:30 P.M., the Wrestle Talk Podcast will be spending some time with The Big Texan from Southern Illinois Championship Wrestling. A lifelong professional wrestling fan, The Big Texan began his professional wrestling journey seventeen years ago. Under the training of Geno the Exterminator and Johnny Courageous, The Big Texan dreamed of competing inside the professional wrestling ring. After getting released from his initial training period, The Big Texan moved on to several other professional wrestling promotions, including Rampage Championship Wrestling and Old School Championship Wrestling. The Big Texan was asked to return to the Mid-Missouri Wrestling Alliance. Making the most of his opportunity, The Big Texan won several singles and tag team championships throughout the greater St. Louis metropolitan area. After a near two year layoff due to injury, The Big Texan returned to the Mid-Missouri Wrestling Alliance and Southern Illinois Championship Wrestling with a vengeance. Losing over 100 pounds, The Big Texan has made waves on the St. Louis professional wrestling scene, being featured in television commercials, books, and by capturing the prestigious Southern Illinois Championship Wrestling Bruiser Brody battle royal cup. At 8:30 P.M., the Wrestle Talk Podcast will have the opportunity to once again be joined by Phillip Stamper. Over his many yeas inside the world of professional wrestling, Phillip Stamper has traveled the world, competing the United States, Canada, England, Mexico, and Germany. During his career, Phillip has been associated with such promotions as MCW Pro Wrestling, Combat Zone Wrestling, Pro Wrestling Unplugged, Rockstar Pro, Legacy Pro, IWA East Coast, Pro Wrestling Unplugged, Pro Wrestling Syndicate, World Xtreme Wrestling, Heartland Wrestling Association, Westside Xtreme Wrestling, Chlianga Mask, and Grand Slam Wrestling. Please tune in to the Wrestle Talk Podcast as we continue to bring you the best in the world of professional wrestling. This entry was posted on December 6, 2017 at 7:09 am	and is filed under Uncategorized. You can follow any responses to this entry through the RSS 2.0 feed. You can leave a response, or trackback from your own site.